Since Delivery Net’s inception in 1996, we’ve consistently redefined and reshaped our service offering to better meet our clients’ needs. 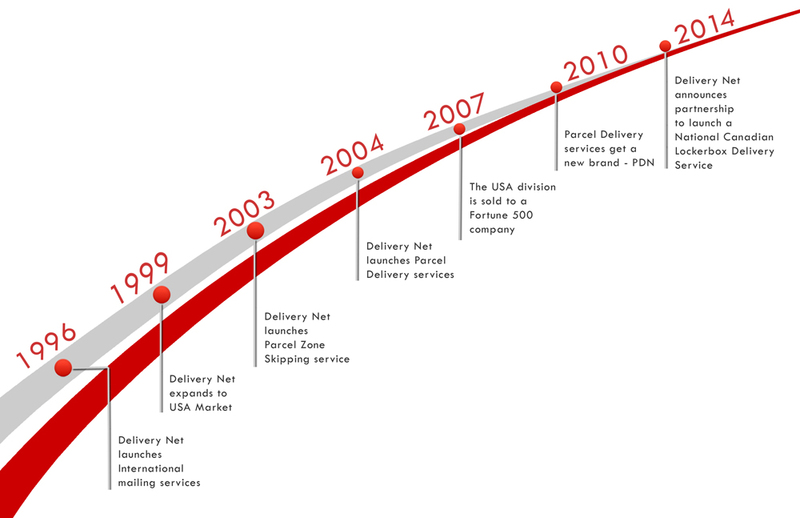 As a leader in distribution and fulfillment services we have spent the last decade building new services to meet the growing eCommerce marketplace. As a leader in Canadian eCommerce delivery we are proud to support this growing and robust industry. Delivery Net launches International mailing services. Delivery Net launches Parcel Delivery services.